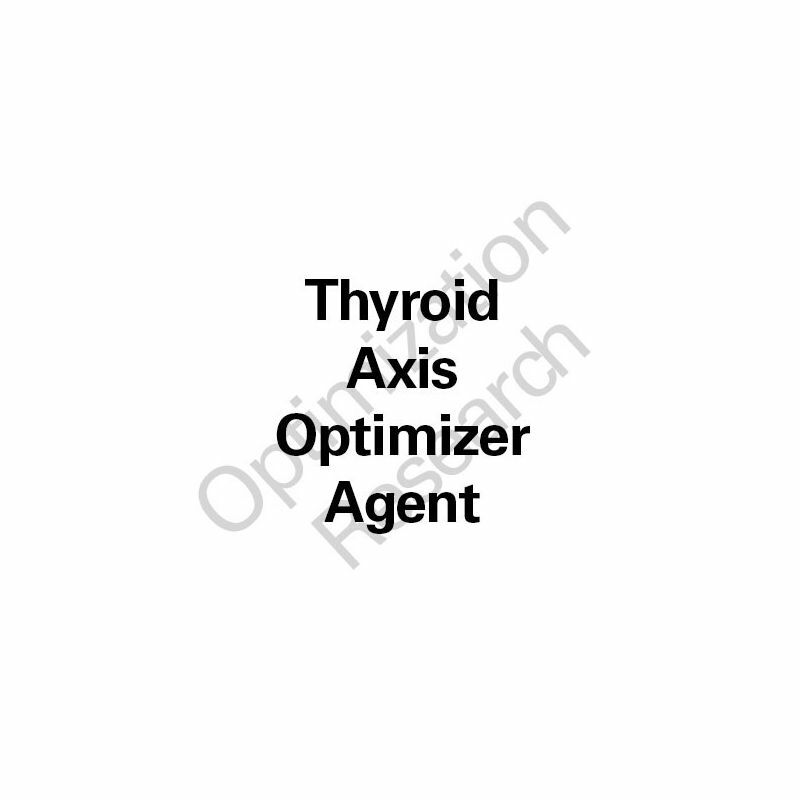 TAO-OA, Thyroid Axis Optimizer, is a proprietary blend of optimized taltirelin and protirelin analogues that has been optimized to produce the goal of optimized positive modulation of the thyroid axis. Indications for research related to the areas of antidepressant effects, memory enhancement, cognition enhancement, motor dysfunction enhancement, analgesic effect, autism (ASD), sleep, etc. 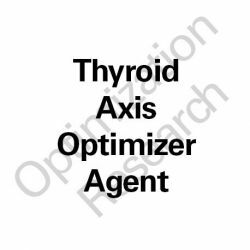 TAO-OA, Thyroid Axis Optimizer, is a proprietary optimized taltirelin analogue that has been optimized for improved solubility to produce the goal of optimized positive modulation of the thyroid axis. Such types of positive modulation have been seen to produce a stunning array of beneficial effects in both compromised states, as well as within enhancement of normal states. 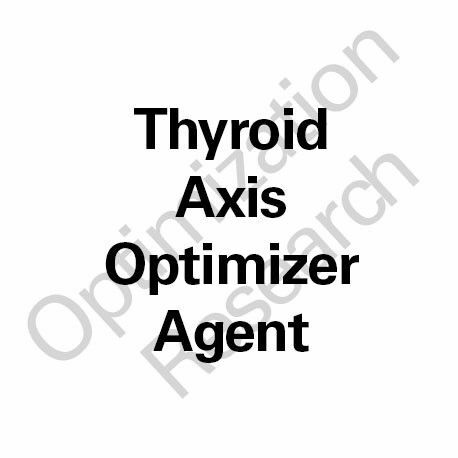 TAO-OA has been designed to create optimized bioavailability, duration of activity, efficacy, and therapeutic index within the modulation so related to optimization of this THR related thyroid axis optimization signaling. This signaling pathway has been found to impart profoundly significant effects on many critical aspect of well-being and has great potential to afford related substantial benefits. TAO-OA future trials within human clinical settings, and based off of the animal studies thus far so conducted, would appear to indicate optimized dose arms of 1mg and 2mg once per day or every other day per oral and intranasal administration, and 0.2mg and 0.4mg once per day or every other day per s.c. injectable administration. These doses appear to be applicable for antidepressant effect, arousal effects, pro-metabolic effects, cognitive enhancement effects, anti-aging effects, as well as for several other benefits. Notably, within potential usage for autism, and as well severe disorders of other natures, a dose of ~2-3x that as indicated would seem to be most warranted to be assessed within clinical exploration and testing. Taltirelin is a thyrotropin-releasing hormone (TRH) analog - it has a much longer half-life and duration of action than natural TRH(2). Taltirelin has been marketed under the tradename Ceredist in the format of orally disintrgrating 5mg tablets primarily for its effiacy as an Anti-Spinocerebellar Degeneration Agent. Efficacy potentials for several other dysfunctional paradigms have been extensively demonstrated and require lower dosing within animal model studies. Taltirelin is a biased superagonist at TRH-R1 with a unique profile of efficacy. Due to its biased agonist activity it has minimal impact on potentiating excessive thyroid output, yet has demonstrated profound indications toward affording 'core' wellness and amelioration of many dysregulated conditions. One of the first cited studies back in 2002 shows this chemical, taltirelin, to be neuroprotective(3). This effect was exerted even with models of ischemia (!) and other conditions that are hard to treat. However, studies on it's neuroprotective, and moreover, pro-cognitive / nootropic effects date back to 1997 ; where it was demonstrated to have ameliorated consiousness impairment, memory impairment and motor dysfunction in several models(!). In 2007, a much larger study showed taltirelin to be a potent antinociceptive ( (pain relieving) ) as well, an effect at least partly, but certainly not solely - dependent on the indirect activation of serotonin 5-HT(1)A receptors (SEE STUDY HERE). The larger wonders of this chemical began in 2013,with tests showing marvelous anti-depressant effects(4) and even more significant, the demonstrations of it being almost unprecedented, and even comparable to methamphetamine (but not dangerous and without adverse events) in inducing/increasing dopamine release(!). It was also demonstrated to have acute and chronic memory enhancement effects, and could ameliorate memory impairment on a central hypothalamic level, and by directly modulating cholinergic neurotransmission in the hippocampuls ; a brain area largely involved with spatial, active and declarative memory(!). An anti-ataxic effect of taltirelin was noted as well - an effect that probably has to do with NMDA-glutamate receptor modulation/activation, as this benefit was blocked by an NMDA-antagonist; MK-801(5)(6). Taltirelin was also revealed to have neurotropic; brain cell increasing and synapse regenerating effects - this occurred at the molecular and central level - and most profound effects were seen in the spinal cord - though it was also noted to reverse nerve damage in other tissues/brain regions(7). Taltirelin increases extracellular levels of acetylcholine in the hippocampus, but modulates turnover if levels are already high (potentially protecting against excesses of ACh as well). Taltirelin increases noradrenaline in the hypothalamus. Taltirelin super-potently increases dopamine release in the striatum and nucleus accumbens - which are area's involved in motivation and as such this is likely the responsible action for it's pungent anti-depressant effects. The compound also can regulate/increase serotonin levels in the brain stem. nucleus accumbens and striatum. Taltirelin may increase neurite outgrowth via distinct modulation of neurotrophic factors and via positive effects on blood flow. TALTIRELIN, marketed as Ceredist and often referred to as TA-0910, has demonstrated the following effects/benefits. Ameliorating memory deficits, and increasing retention(!). As a novel analgesic/pain reliever(!). As a stimulant - with motivation increasing effects(!) (!). Regenerating spinal cord nerves and treating spinal muscular atrophy(!). Rapidly increasing dopamine, noradrenaline, serotonin and acetylcholine(!) (!). Amelioration of Autism Spectrum Diorder (ASD) and Obsessive-Compulsive Disorder (OCD) conditions.